The racks and shelves of second hand shops are full of treasured photo albums, well-worn jumpers and tea stained cups cleared from the homes of the recently deceased. Once well-loved items are now homeless and have lost their sentimental effect. Detached from their owners, they are transformed into junk. 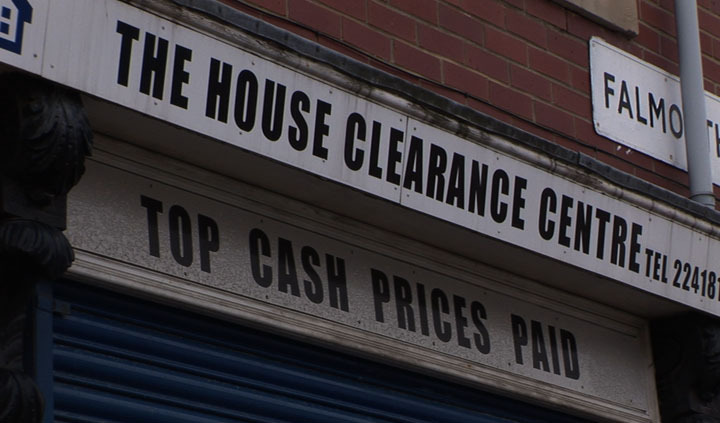 The House Clearance of Home-Maker exposes the ephemeral nature of our private self-constructed worlds. In her project Home-Maker, Jeanie Finlay explores what makes a house a home by depicting the lives of seven housebound older people in Derbyshire and Tokyo. In a series of short documentary films these homemakers talk about their lives, passions and the objects that surround them. 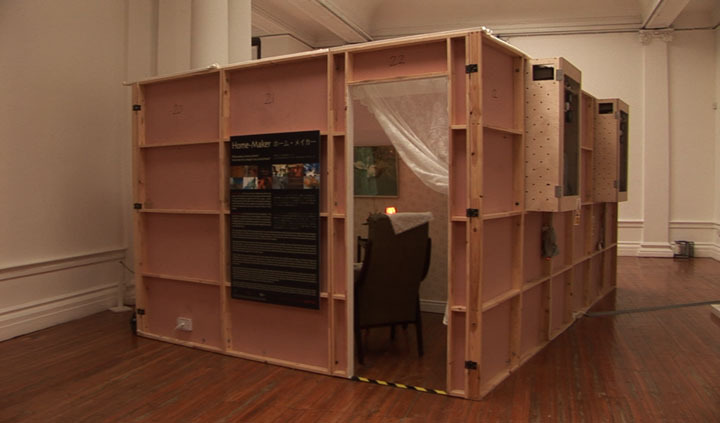 The work consists of a two-room set, reminiscent of a giant dolls house with a typical English and Japanese living room side by side where you sit, watch and interact with the films. 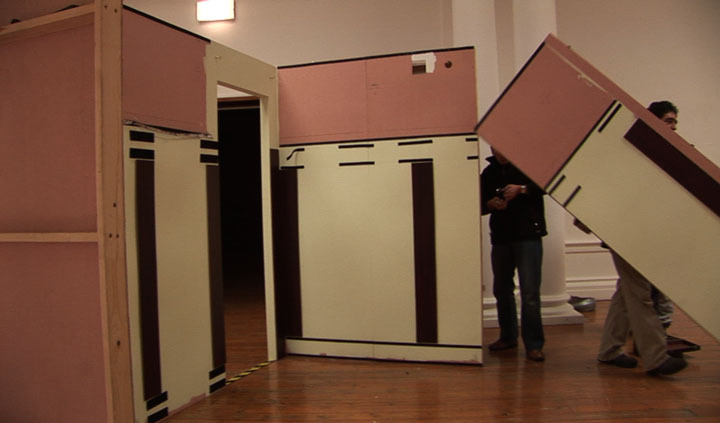 At 1300h on 14 March 2006, Heaton Used Furniture house clearance staff moved into the Home-Maker set at the Hatton Gallery to strip the rooms, pack up the contents and sell it on. The intricate stories and memories of home will be dismantled and severed from the clutter. You are invited to visit the homemakers in their temporary homes one last time, witness its fragmentation and onward journey. Hatton Gallery, Newcastle upon Tyne UK.